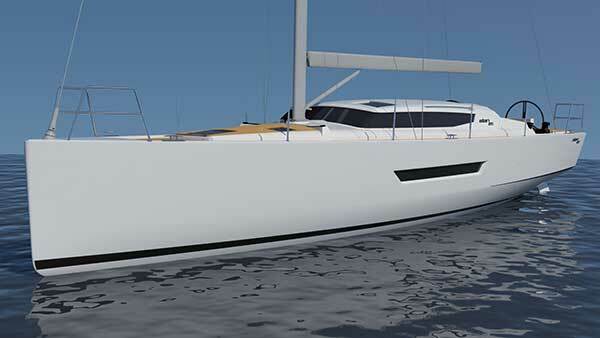 Gran Turismo - The next generation pf Performance Cruising Yachts. True Cruising Performance with hulls from Elan's performance range and the addition of deck saloon style living. 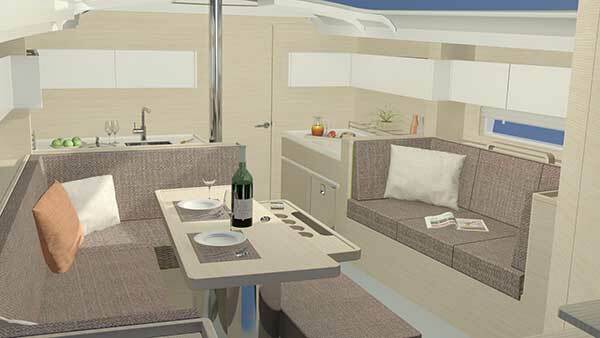 Dedicated Cruising Interior with Elan's new interior layout, giving a far more comfortable luxurious cruising yacht. Simple ease of handling with all control lines led back to the helm in a large, comfortable and safe cockpit. After many years in design and development Elan is proud to announce the launch of a 'New Concept in Yacht Design'. The GT series will take the very best design and construction techniques from Elan's award winning performance E and S ranges and combine this with the benefits of larger deck saloon yachts to produce a truly elegant sporty cruising yacht. This luxurious cruising range of yachts will have the pace to swallow up the miles at sea, whilst offering a safe and easy to handle yacht for the shorthanded crew. Due to the wider and faster hull design twin rudders are more efficient from a single rudder, providing exceptional control and reducing the tendency to breach. The yacht does not stall easily, her pitching movement is reduced and her directional control is superb. 1) More effective rudder control especially when heeled. 2) Lighter loads on helm and easier work for autopilot. 3) More stable and direct feel, especially downwind. 4) Reduces tendency to broach. 5) Two independent rudder systems (Does not need emergency tiller). The keel has a very low centre of gravilty for enhanced sail acrrying power arranged in a T-shaped geometry beneath a low wetted surface area fin. More righting moment for reduced displacement and drag. 4) Better and more precise sailing. Chined hull helps with the yacht's tracking ability upwind and clean off the wake, giving the yacht improved high speed and control downwind. When heeled ideally the yacht reaches an aptimum underwater hull shape with a small wetted surface for minimum drag. Chines also prevent broaching because it works as a long skeg. 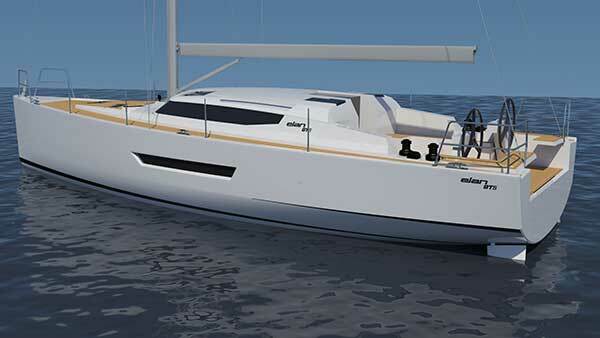 Matching the maximum beam with the optimum underwater hull shape leads to the design of a chined hull. 1) Increased power and perfarmance. Provides greater internal volume and optimises stability. A sophisticated hull shape (Humphreys Yacht Design) with more radius in underwater hull sections aft are better balanced with fuller forward sections to increase beam without increasing drag. 1) Increased 'form stability' provides stiffer feel under sail. 2) Increased power and performance. 3) Increased internal volume and more space on deck. Dedicated Cruising Interior, this radical new interior layout gives the maximum benefit from the larger beam of this modern yacht design. By moving the galley forward the saloon is far larger than yachts of it's class, whilst the galley also gains from this new foward positioning, offering a far more open and luxurious living area on this dedicated cruising yacht. Abundant storage, innovative design solutions and a modern bright interior combine with many new features which will enhance long term cruising on this Gran Turismo.